If the dreaded snow and icy roads have convinced you to swap those all-seasons for new winter tires, good on you — you’re one step ahead. But when tackling uncompromising conditions and extreme situations (i.e. essentially, any city road or highway covered with the white stuff), even a mid-grade winter tire may not cut it. Spending the extra money on a better quality snow tire is well worth the expense, and for good reason. From better durability and simply offering a longer lasting product to incorporating a tread pattern that provides better traction and overall offering more predictable handling in cold, dry and wet wintry conditions, wrapping those wheels in a higher quality winter tire, if possible, is always the better (safer) choice. 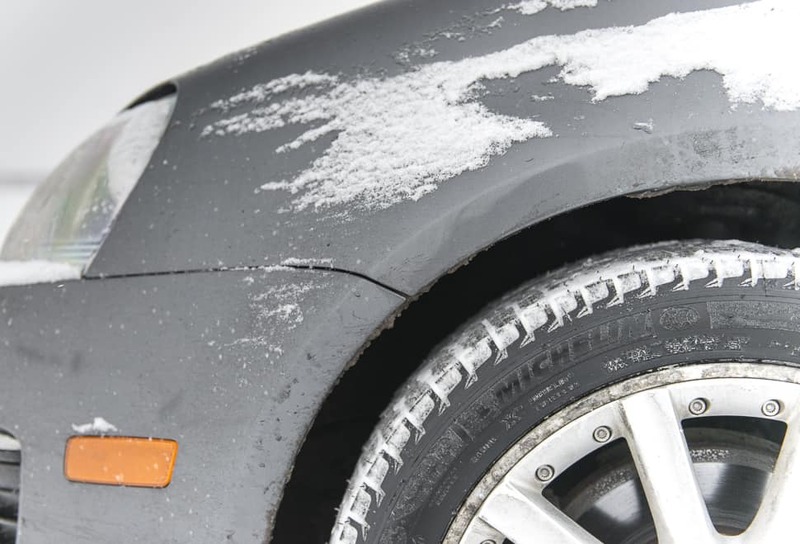 Michelin’s premium winter tire is the 3rd-generation X-Ice Xi3. On the market since 2012 and currently offered in 33 dimensions ranging from 14 to 18 inch rim diameters for cars, small sport utilities and crossovers, and minivans. While all the top tire brands have their A-grade offerings, the X-Ice Xi3 is often rated the highest – and it’s tough to beat the 60,000 KM / 40,000 mile treadwear 2-year warranty. However, we wanted to find out ourselves if these top-rated snow tires are worth the extra money. A month after installing these new tires, we woke up to extremely slippery roads. Bad for driving (and walking), great for testing winter tires. This was the type of rare condition where it had rained overnight and froze over by morning; where roads looked absolutely fine and void of any snow, but even a walk from the doorstep to the car was treacherous, literally gliding flat footed down the driveway atop a transparent layer of ice. Maybe that’s common in some parts but not really where I live in Calgary, Alberta, Canada. Fortunately, the X-Ice Xi3 really had no issue sticking to the road. I took some corners somewhat hard in my 6-speed manual Jetta, just to see how they’d perform, and they handled great, providing the necessary traction. Even when I felt some slip diving into a corner hitting the apex, I’d feel the tires quickly regain control as exited. To be clear, we’re talking city roads here, not a proper track or anything. But you get the point. This is all due in large part to unique contact patch shape on the tires, coupled with what Michelin dubs Cross Z Sipes Technology. Crazy name aside, essentially this sipe pattern provides lateral and longitudinal stiffness within the tread block and enables stable handling in wet conditions. These tire sipes also provide better grip during acceleration and braking, which helps high-speed handling. Translation? Exceptional handling on even the iciest of road conditions. Even across longer stretches of slippery roads at higher speeds my car felt planted and secure. These tires work hard to shed water and remain as dry as possible in wet and watery conditions. Fitted with micro pumps which help dry the tire surface while driving, via small pinholes in the tread creating a suction effect when the weight of the rubber rolls over it, all result in increased traction and improved handling. Coupled with the contact-patch shape mentioned above, the X-Ice Xi3s will distribute the forces of acceleration, braking and cornering, in turn, maximizing the wear life of the tire. Everything mentioned above for icy conditions, including the sipe technology for stable handling and pinhole size micro pumps improving traction, work equally as well through harsh, unplowed snow. We got a nice dump of snow, so I decided to take my car for a little drive, hitting a few roads near my home which hadn’t seen any traffic. The thing with snow tires is this: they actually seem to perform better in the white stuff; it’s like they thrive in it. Considering all the technology that goes into these high-grade winter products, it only makes sense — and they meet the industry’s severe snow service requirements, branded with the three-peak mountain snowflake (3PMSF) symbol. Even across longer stretches of slippery roads at higher speeds my car felt planted and secure. These tires work hard to shed water and remain as dry as possible in wet and watery conditions. These particular tires are made of a silica based rubber compound offering flexibility in colder temperatures and firmness in warmer temperatures (called FleX-Ice compound, exclusive to X-Ice Xi3), so when the temperature dips and the snow hits the ground, all this technology kicks into action; and the tires’ Block Edge feature provides more grip on snow and ice. My tested set of X-Ice Xi3 tested here were obviously brand new, so there was zero wear and tear. But it’s vital to check the “snow wear bars” on these tires, which are molded into the X-Ice Xi3’s tread grooves. Essentially over time, and like any winter tire, the X-Ice Xi3 will inevitably become less effective in deep snow; these indicators will tell you when traction is reduced which is definitely a great feature to have. As mentioned earlier, the 60,000 KM / 40,000 mile treadwear 2-year warranty is a huge selling point separating this brand from the pack. But Michelin takes it further with this promise plan offering U.S. and Canadian consumers a free 30-day satisfaction guarantee and three-year, flat-tire changing assistance in addition to the warranty, when purchasing a set of four Micheline tires. You won’t find this type of guarantee offered by the other tire brands, so this is definitely a bonus if you’re not convinced Michelin tires will be a good fit for your vehicle, so to speak. 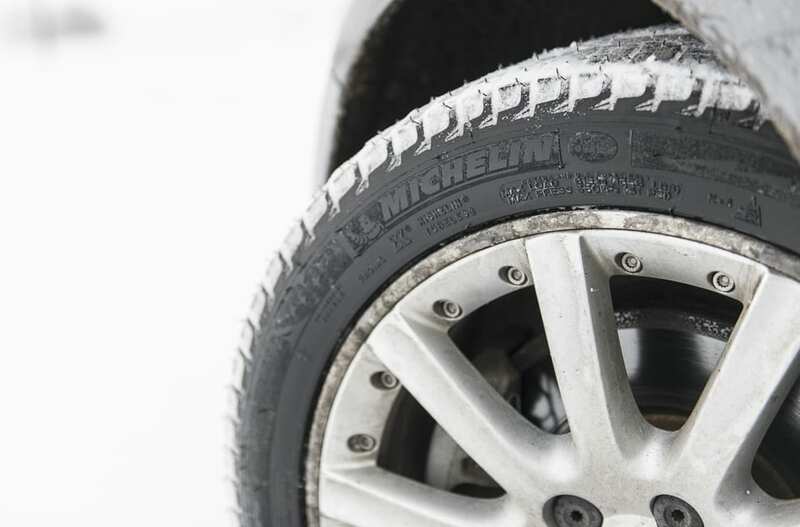 The Michelin Promise Plan includes the winter X-Ice Xi3 tires.